Get ready to adopt and raise the cutest pets! Feed them, pet them and watch them grow! Play Happy Pets! 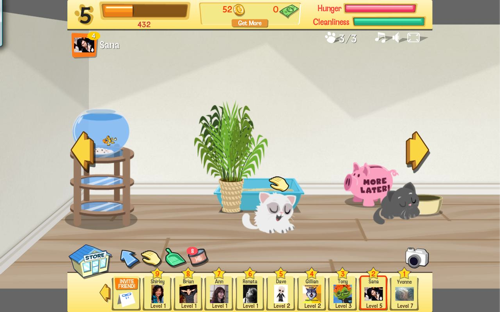 Happy Pets is a game brought to Facebook from CrowdStar and debuted in November, 2009. It is a popular application where you adopt dogs and cats and take care of them. 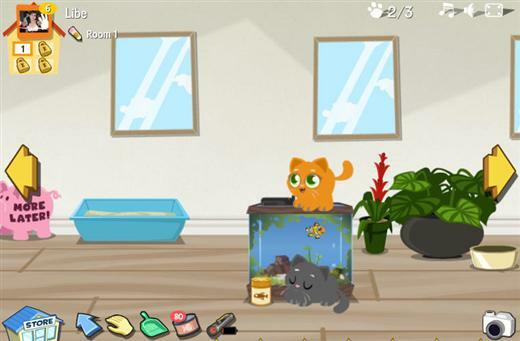 The goal is to adopt as many pets as you can and along the way earn coins so you can furnish your house.